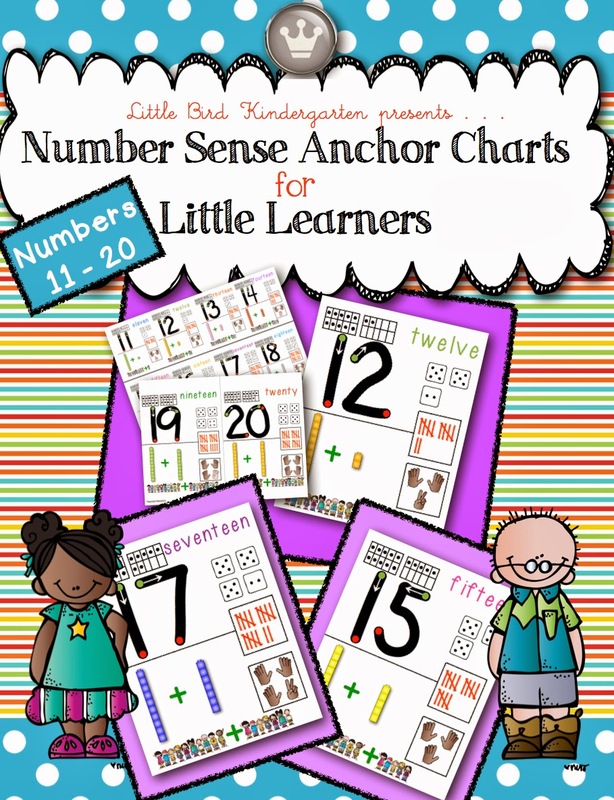 I am loving these Number Sense Anchor Charts for Little Learners! I have had the idea for them for a long time, and finally got them done and ready to use! 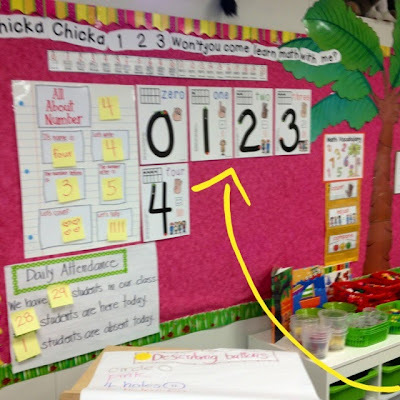 math wall! 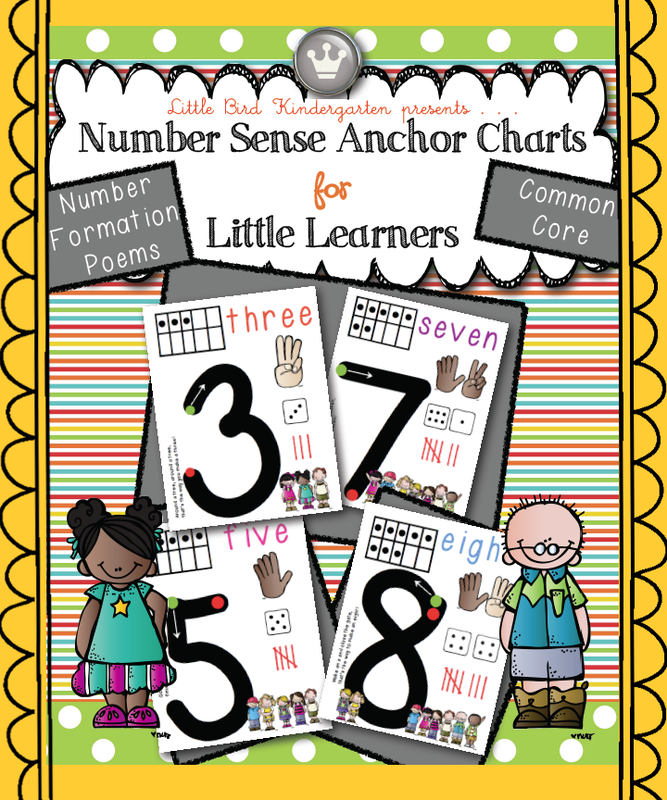 The kids love the number rhymes for helping them with formation of the numbers, and I love the simplicity of the anchor charts, they are perfect for my kinders! **Update! Finally got the Number Sense Anchor Charts done for numbers 11 - 20! 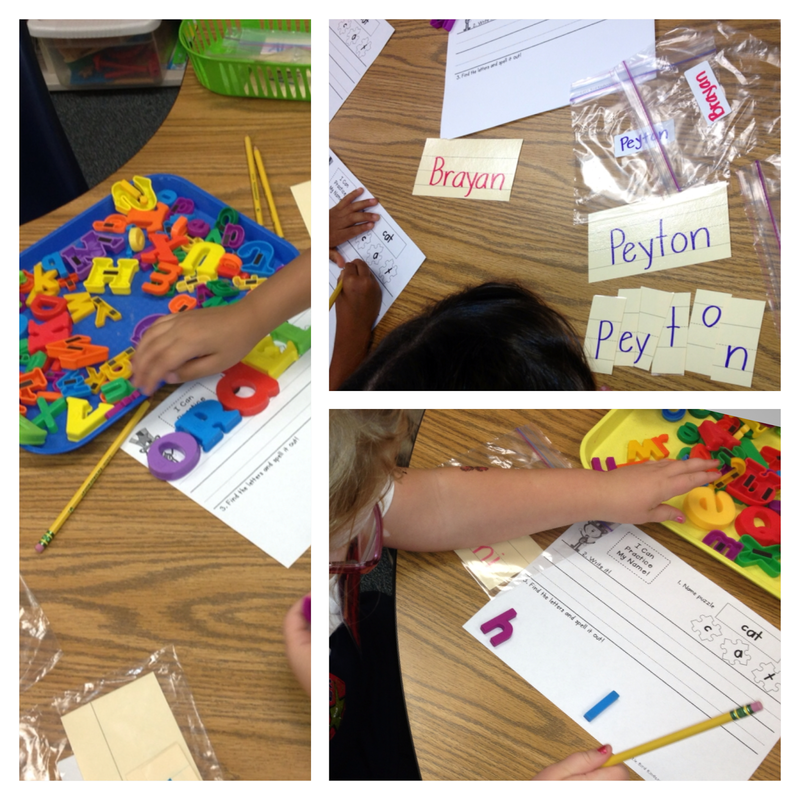 They are in the story and ready to go! Second time around was... so fun! We moved through the process of the Close Read for Day 2 and I modeled my annotations, with highlighting, drawing and arrows pointing out vocabulary and phrases. I am amazed at how much they enjoyed doing this! What a fun exposure to text, and the language that was happening was great! 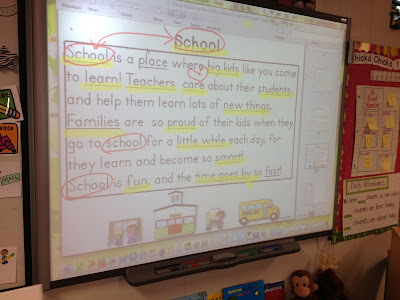 I loved how they remembered words and phrases from the text and wanted me to show them where it was so they could "highlight" it with their yellow crayon! They were so proud! 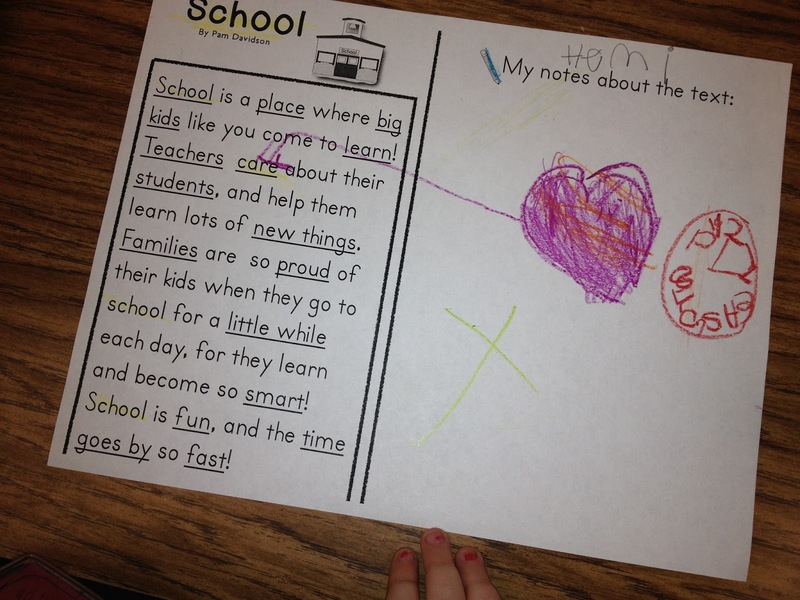 Here are a couple of pics of student annotations! 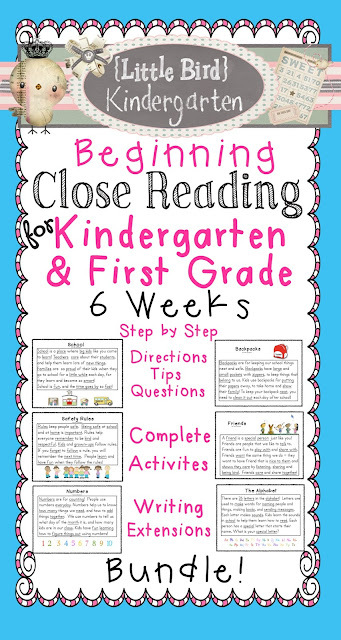 8th Day of Kindergarten - Getting started with Close Reading! If you had told me at this time last year that I would be doing a Close Reading activity with my kinder kids on the 8th day of school I would have said you were cuh- ray- zee!! We did it, and it was fun! They were surprisingly interested and engaged! I am excited to go back for more tomorrow on Day 2, let them read chorally with me, and let them "take notes" with their annotations page, I'm sure they will be priceless! 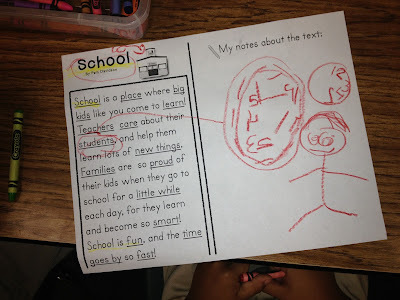 In the text we read today, there was a sentence that talked about how "teachers care about their students" - as we re-read the text and discussed the vocabulary, I drew a heart above the word "care". You better believe they all knew where you could find the part in the text that referred to the teacher caring about them! They are so cute. Oh the places we'll go! Here's a picture of the text up on the Smart Board with my highlights and drawing all over it! 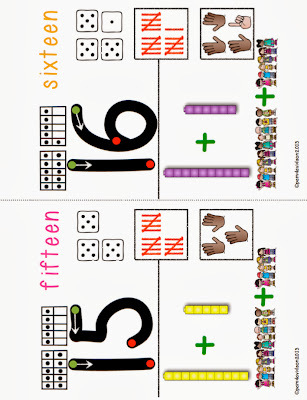 This text is part of a Quarter 1 Close Reading Bundle for Kindergarten and First Grade. It is available on Teachers Pay Teachers! Name Puzzles... with a twist! the years, well. I'd have a lot of nickels! 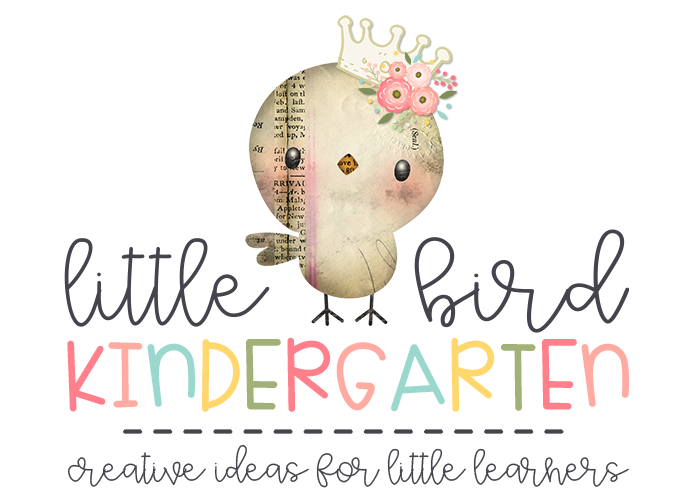 I could never start out the year and forget about making them, because it never fails that the first week of school lots of little ones show up not recognizing, or writing their names.